Before 7 AM in the morning you meet your guide and transportation at your selected hotel in Cusco for a 2-hour drive through Chinchero towards Ollantaytambo. 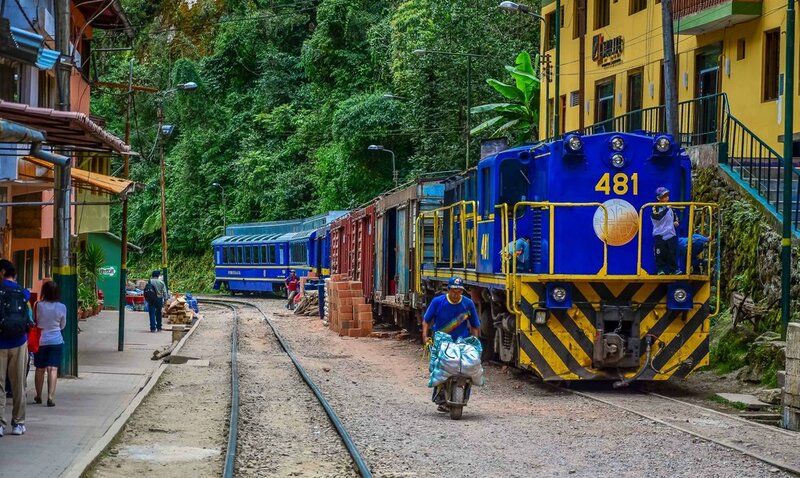 In this charming town you meet the trek porters before ongoing by bus to Piscacucho (Km. 82 of railway) for start of the hike (8690’). You walk on even terrain until you reach a small village called Misqay, a small settlement of Quechuan people. Then, you continue hiking on a challenging patch of trail that reaches a plateau that leads you to the Inca ruins of Patallacta. Patallacta is an interesting archaeological site that is near the river Cusicancha, and above the river Urubamba. After lunch, you continue hiking for another two hours until you reach the first campsite of Wayllabamba. (camp 9887’). 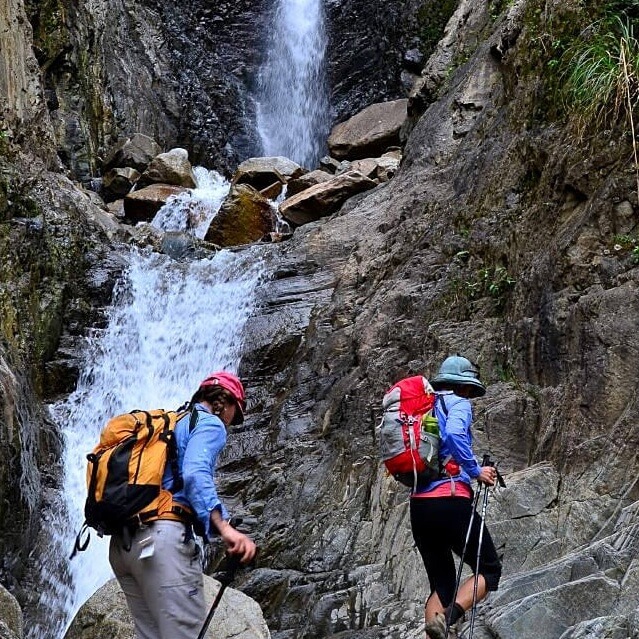 After a good breakfast, you have the challenge of hiking to the highest pass of the Inca Trail. The march is demanding, but the scenery and views are rewarding along the steep climb to the pass called Warmi-wañusca 13615’. You are able to appreciate the scenery variations within the 3-4 km walk. The natural landscape varies from humid rain forest to Puna highlands, colder and parched zones of icchu (puna grass). Today you camp at Pacaymayu (11765’). After an early breakfast, the trek begins along a paved path leading to several archaeological sites. The first climb of the morning takes you to the Runkurakay Pass. Halfway along the trail you encounter the ruins of Runkurakay, a circular Incan tambo, with views of the Pacaymayo valley and the river below. Another steep climb up to the next pass Runkurakay 12933’ offers astounding views of the Vilcabamba mountain range. 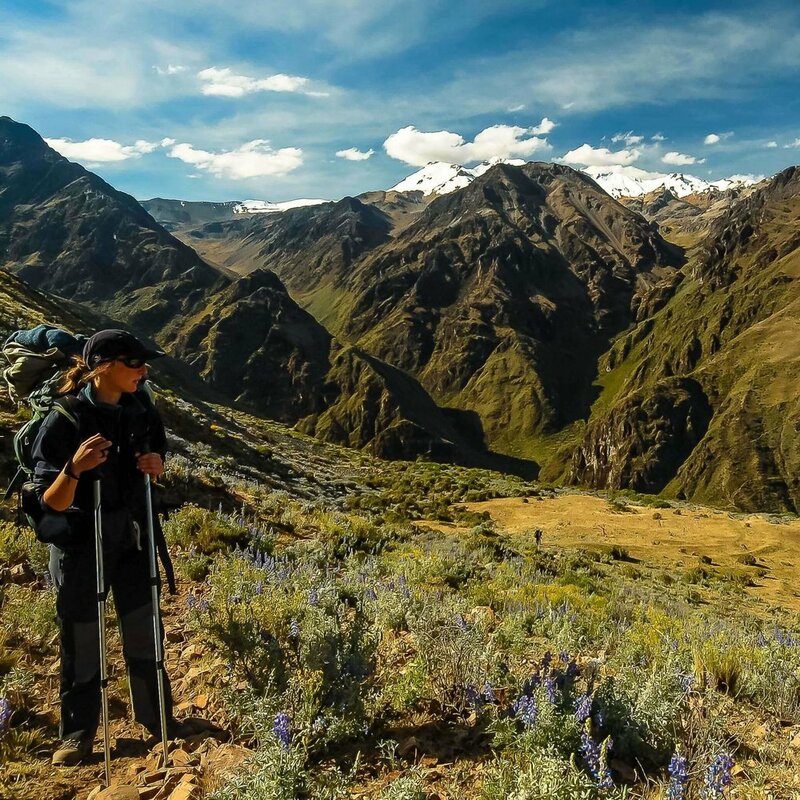 You continue the trek towards the second Inca site, Sayacmarca, located on an overhang with a panoramic view of the Aobamba valley and snow-covered peak of Pumasillo. This construction comprises a labyrinth of very narrow corridors, some with exits and others without. The only access to the ruins is by a steep, but solid, stone staircase carved into the side of the mountain. Continuing the hike, you pass Conchamarca, a small, flat archaeological complex. Then, the trail ascends again, and you come to a 65 foot (20 meter) long tunnel with steps carved out of the rock. Continuing the ascent, you reach the third and final mountain pass of the trek at Abra de Phuyupatamarca. The trail then heads downhill to the archaeological site of Phuyupatamarca, “The Town in the Clouds.” This is undoubtedly one of the most unique towns on the Inca Trail. It is almost always covered in the mist rising from the cloud forest, and is located on the side of a ravine looking down into the Urubamba Valley. The site is surrounded by terraced fields and offers beautiful views of the Urubamba Valley as well as the adjacent snowy peaks. As the day ends, you head toward the ruins of Wiñay Wayna or “Forever Young” 9234’, where you camp for your final night. The ruins consist of Incan agricultural terraces and are believed to have been a religious center where water was worshipped. Flower enthusiasts will be pleased to see the area’s fabulous pink orchids. The campsite on the final night has a simple restaurant and hot showers. The last dinner in the campsite allows you to say goodbye to your cook and porters who walk ahead of you early the next morning to catch a train back to Ollantaytambo. After an early breakfast at 5:00 AM, you start on the final leg of the trail by 6 AM in order to reach Inti Punku, the Sun Gate entrance to Machu Picchu, by sunrise. While weather conditions may vary, the view is always awe-inspiring, and you can only imagine the pilgrimage the Incas had experienced in their time. From here, you descend to the citadel for a 2-hour guided tour of Machu Picchu. You are able to appreciate the intricate stonework carved into the fantastic Andean scenery. The giant stones were hauled by hand to the top of the mountain centuries ago, and yet their foundations remain! You have the chance to explore the old city: the urban, agricultural, and adjacent zones. The Temple of the Sun, the Intihuatana, and the Principal Bath are only a little example of the impressive sights that you get to see. We finish the tour with lunch at a nearby restaurant before going down to Aguas Calientes to check in at our hotel in town. Later for dinner we enjoy a fantastic meal in one of the best gourmet restaurants to celebrate our Inca Trail Trek. You then have the night for yourself and can soak up in the local hot springs, or just head straight to bed for a good night’s rest after your long trek! After a good night sleep in your hotel, you take it a bit easier today and catch the train back to Ollantaytambo at 8:30 AM. You arrive to Ollantaytambo around 10 AM so you can make your way back to Cusco in your private minibus. Once in Cusco, you check into your hotel right before lunch time. Then, you have time for yourself to do laundry or any other personal things. Tonight, we do suggest visiting the Centro Cultoral Qosco. Every evening at 6:30 PM there is a rich and colourful display of Cusco dances (the entrance fee is in your Cusco Ticket)! A porter carries your personal belongings up to a limit of 18 pounds/ 9kg per person. All meals and some snacks are provided for the hike. If you want other snacks during the trail these can be bought in Cusco. There are no hot showers along the trail except at the final campsite, but every morning and night you are provided with a bowl of hot water to wash with. There are also many basic toilets along the Inca Trail provided by the National Institute of Culture. The guides carry basic first aid supplies, but as you are in remote mountain areas, more advanced medical facilities are not available. It is customary for trekkers to contribute to a tip pool, which will then be distributed amongst the team (guide, cook, and porters). A good tip amount ranges $20-$50 USD per hiker. These tips are voluntary, so feel free to tip according to the service you received.